Our 8:00 am Holy Eucharist service is a spoken Rite I Communion Service. Our 9:30 am Holy Eucharist service is a Rite II Communion Service with Choir and Nursery Care. Coffee Hour and Adult Education to follow downstairs in the Parish Hall. A brief description of each aspect of the liturgy. Healing Service with Communion, Anointing, and Laying on of Hands for Healing is offered every Wednesday afternoon at 1:00 pm. All are welcome. Choral Evensong at St. Thomas Church is a very tiny fragment of the worship which is offered to God by Christian people, every hour of the day, in every part of the world. When you come to Evensong, it is as if you were dropping in on a conversation already in progress – a conversation between God and His people which began long before we were born, and will go on long after we are gone. Our services are offered in the Anglican Choral Evensong tradition. Please join us. Specific dates are on the church calendar, and are offered on the third or fourth Sunday evenings of the month, May – December. A thirty minute candlelight service of silence, song and prayer. Taize services are slated to commence on Wednesday December 5, 12, and 19. We will then take a break for the Christmas season, with services for all five Wednesdays in January, as well as February 6, 13, 20 and 27. ABOUT TAIZE PRAYER. The contemplative prayer form that has become known as “Taize Prayer” takes its name from the Taize community of France, founded in the early 1940’s by Brother Roger. For more than 60 years, until his death in 2005, Brother Roger worked tirelessly to open ways to heal the divisions between Christians and among people in general. ABOUT OUR TAIZE SERVICE. 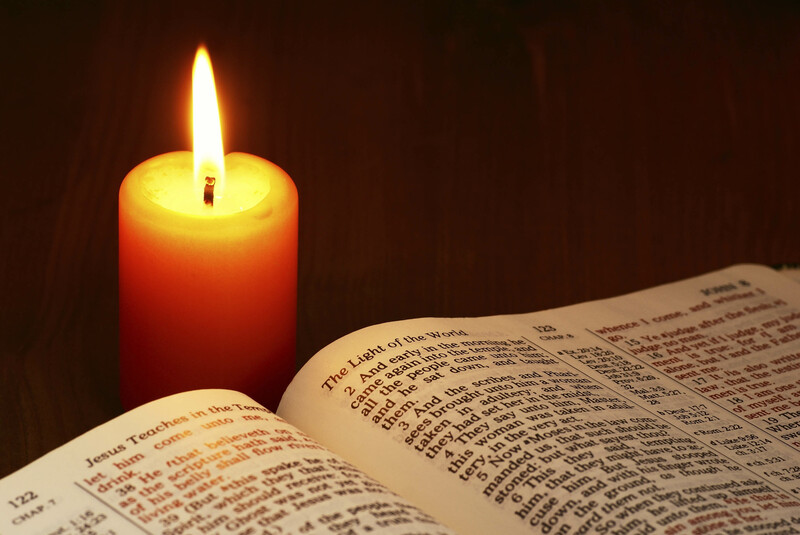 At St. Thomas, our service of Christian worship is crafted around the worship style of Taize. It incorporates two distinguishing marks of Taize-like worship (in addition to music): repetition and silence. Through singing simple chants, the mind is quieted and the heart is opened as the song becomes prayer. Maintaining silence is simply holding oneself in the present moment and letting Christ, through the Holy Spirit, pray in us. Anyone interested in becoming a host , or participant as a reader, for the Taize worship service is encouraged to be in touch with Georgia Stewart at georgiae.stewart@gmail.com, or 208-309-5075, or Maryanne Whitcomb at mjwoyster@msn.com, or 208-725-4990. We look forward to sharing in the spirit of Taize through prayer together. Our newest service, Sacred Space, takes place on Sunday evenings from January 13- March 17, 2019. The service has a special quality and ambience where people come to worship, wonder and walk the Way of Jesus together, leaving a renewed and ready for the week ahead. Opportunities for baptism are always offered at 4 services throughout the church year: Epiphany, Baptism of our Lord, Easter Vigil, and Pentecost. Other dates may be available in consultation with Father Ken Brannon. This sacramental rite is given by Bishop Brian. To learn more an Inquirer’s class is offered periodically throughout the year. Contact Father Ken for more information. A babysitter is available for children up to five years of age in the sound-proof nursery room at the back of the sanctuary during the 9:30 a.m. service on Sundays. Babies and young children can be dropped off, or parents are welcome to stay. The service can be seen through the large windows and/or heard on loudspeakers. We hope to see you at some or all of these worship offerings.